Cirrus clouds form a unique component of the atmosphere and significantly affect the Earth's radiation energy budget due to their large spatial coverage and temporal persistence. Yet, the radiative forcing produced by these clouds is not well understood because they are composed of ice crystals with a wide variety of shapes and sizes. One way of to investigate the nonsphericity of cirrus particles is to use measurements of polarized light, as the angular dependence of polarized scattering is sensitive to particle size and shape. 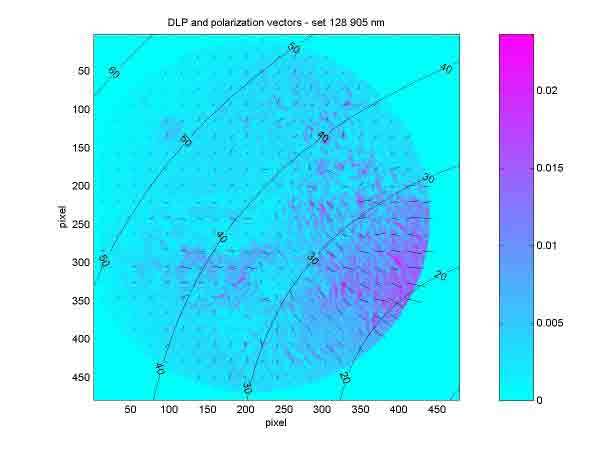 We have modified an astronomical imaging polarimeter to allow the measurement of polarized light scattered from ice and mixed phase clouds such as cirrus. The polarimeter provides the first three elements of the Stokes polarization vector. From the Stokes vector the degree of linear polarization as well as the orientation of the polarization ellipse can be determined for each pixel in the image. A zoom lens allows selecting the extent of observation angles (size of the field of view), permitting in the case of the current instrument the collection of data for a range of scattering angles up to about 40˚ wide in a single image, or wider if a mosaic of images is taken. 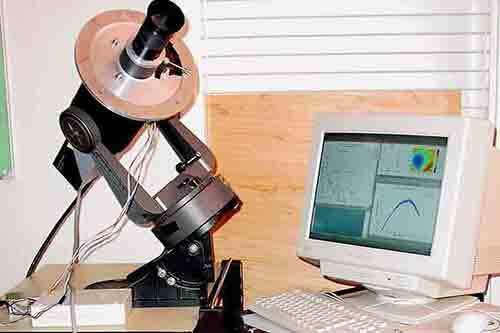 The instrument has been made portable to allow measurements at remote locations, more suitable for cirrus observation. This will permit carrying out a study into the feasibility of remote sensing of cloud composition, including thermodynamic phase, crystal size and shape from a ground-based polarimeter. In the first instance, data from a clear-sky atmosphere will be collected, followed by measurements on thin cirrus. The results will be compared with radiative transfer models and other observations. 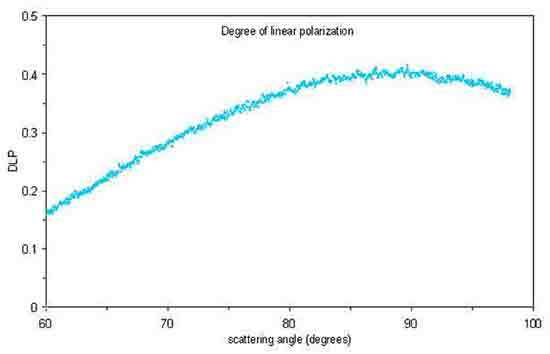 Degree of linear polarization and polarization vectors observed for a cirrus cloud. The contours show the scattering angle.